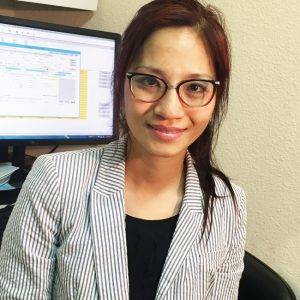 Having grown up in San Jose, Dr. Lucy Yen has seen just about every eye care practice in the Bay Area. Over the years, it struck her that out of an area of over 7 million wonderfully smart, sophisticated, artistic and wonderfully creative people, most every optical shop seemed a repeat of the one down the street. The choices in eyeglasses, sunglasses and how exams were given seemed so very limited. “Everything looked the same, everybody looked the same! Where was the fun? Where was the style? Where was the quality? Where was a place to find exciting eyewear?” That’s when she decided to take a bold step forward and create the Bay Area’s most eclectic and evolutionary eye care practice, Eye Luv Lucy. Dr. Lucy loves being an optometrist. She wakes up every morning looking forward to giving her patient’s enhanced vision they never thought possible. It truly makes her day when she sees the smiles on her patient’s faces because of the exams and great eyewear she is able to provide at Eye Luv Lucy. Dr. Lucy also has a passion for community service. She is the San Jose Unified School Districts’ Vision Screening Coordinator and provides vision screenings to low-income elementary school aged children. She has volunteered at the Haight-Ashbury free clinic in San Francisco and various soup kitchens throughout the Bay area. She has also been a participant in Volunteer Optometric Services to Humanity, delivering eye exams in Guanajuato, Mexico and Tegucigalpa, Honduras. After 10 years in the industry, Dr. Lucy finally saw the chance to realize her childhood dream: Eye Luv Lucy! She took the task of discovering some of the finest eyewear lines in the world very seriously and left no stone unturned bringing some of the most noteworthy and remarkable eyewear collections to Willow Glen.